Our vision is a prosperous democratic country free of discrimination and other violations of human rights. To encourage and support individuals and groups to be proactive in the protection of their own and others' rights; and to struggle to promote democracy and human rights in accordance with international norms. To document and report on human rights violations in Bahrain. To use this documentation for advocacy to influence international policies according to the Universal Declaration of Human Rights. 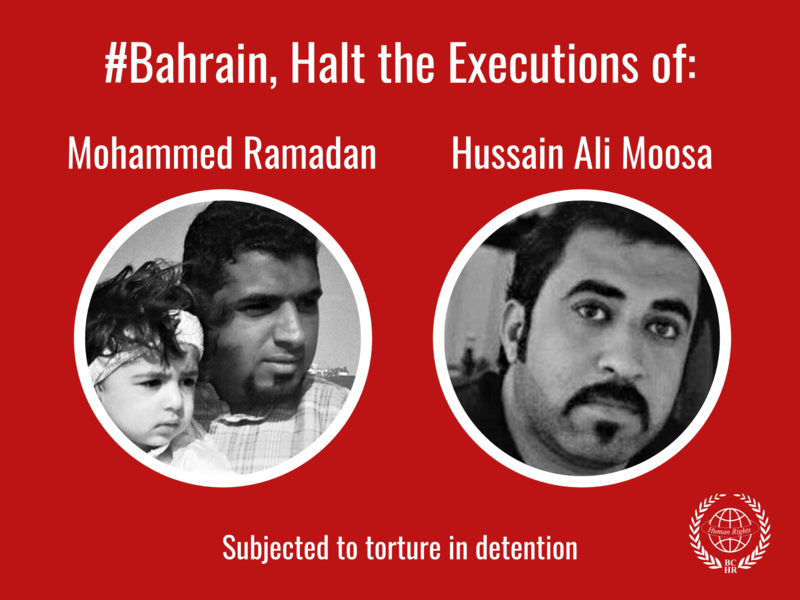 The Bahrain Centre for Human Rights (BCHR) has a responsibility and commitment to defend people whose rights are violated. We aim to inspire hope and raise awareness to get people involved in documenting and reporting on human rights violations, and to stand up for their rights. We believe all people are equal and deserve our attention, regardless of their gender, sect, affiliation, identity or origins. It is important for BCHR to retain trust and credibility from all concerned. We promote the peaceful exercise of human rights and non-violent dissent. The 26-founding members include prominent doctors, lawyers, journalists, and NGO leaders, men and women. The vast majority of our operations are carried out in Bahrain, while a small 'office in exile', founded in 2011, is maintained in Copenhagen, Denmark, to coordinate our international advocacy program. The BCHR currently receives a small amount of funding from the Sigrid Rausing Trust - a non-political charity based in the UK, dedicated to defending and promoting human rights - and the Bertha Foundation. Our staff is employed almost entirely on a voluntary basis. The current President is Nabeel Rajab, who had served a two year prison sentence for charges related to freedom of expression; and was released on 24 May 2014. Rajab was sentenced to six months in prison for tweeting, upheld on appeal in 2015, and later freed in July 2015. He was re-arrested on 13 June 2016 for "spreading false news and rumours about the internal situation in a bid to discredit Bahrain". His trial was postponed three times and is now scheduled for 31 October 2016 where he is facing up to 15 years of prison if convicted. Vice-President S. Yousif Al-Muhafdah is currently exiled in Germany. Most of the staff inside Bahrain remain anonymous, including a second Vice-President and the Documentation Team. Much of BCHR's work is carried out on a voluntary basis. To read more about the BCHR's Registration and Board of Directors click here. The BCHR receives small amounts of funding from the Sigrid Rausing Trust, the Bertha Foundation, Norwegian Human Rights Fund, Hivos, Action Aid, the Rafto Foundation for Human Rights and the National Endowment for Democracy, as well as small grants from partners for advocacy efforts. For more than fourteen years, the BCHR has carried out many projects, including advocacy, training, workshops, seminars, media campaigns and reporting to UN mechanisms and international NGOs. The BCHR has also participated in many regional an international conferences and workshops in addition to testifying in national parliaments across Europe, the EU parliament, and the United States Congress. Presented to the BCHR with the motivation for their ”long and courageous fight for fundamental human rights such as freedom of speech and freedom of association in Bahrain.” The award was also given with the aim to raise awareness on the broadening violations against human rights that occurs in the gulf region and many western governments ignores. Awarded to the then Acting-President of Bahrain Center for Human Rights, Maryam Al-Khawaja, for her "brave struggle to defend democracy and human rights. With the web and social media as tools and persistent activism and the free world as methods, Maryam Al-Khawaja has illuminated the injustices and inequalities of her home country in Bahrain"
The President and CEO of Human Rights First, Elisa Massimino awarded the BCHR with the prestigious Baldwin Medal of Liberty stating that “There are so many human rights defenders doing amazing work in many parts of the world, but I am delighted that the Medal of Liberty will be presented to the Bahrain Center for Human Rights, which continues to promote human rights under constant threat to the security of its members”. The Baldwin Medal of Liberty was established in 1989 and aims to award international human rights advocates. The Bahrain Center for Human Rights was awarded with a prize from the Martin Ennals Foundation after being named as a 'final nominee' for its work reporting on human rights violations in Bahrain. The Martin Ennals Foundation stated that “despite harassment by the government, who warn of legal action against the Center’s members if they continue their activities, the BCHR provides information to international NGOs and the diplomatic community in Bahrain and advocates locally and internationally in support of demands for democratic change in the Gulf Kingdom”. The decision was made by the Martin Ennals Award Jury which consisted of the following organizations: Amnesty International, Human Rights Watch, Human Rights First, the International Federation for Human Rights, the World Organization Against Torture, Frontline, the International Commission of Jurists, German Diakonie, the International Service for Human Rights and HURIDOCS. The Index on Censorship Advocacy Award (sponsored by Bindmans) was awarded to the BCHR with the aim to acknowledge campaigners or activists who have worked for change. The British charity sponsors, the Silbury Fund, awarded Mr Nabeel Rajab, President of the BCHR, the Silbury Prize in 2011. This decision was made with the aim to promote Mr. Rajab's work within the human rights field. 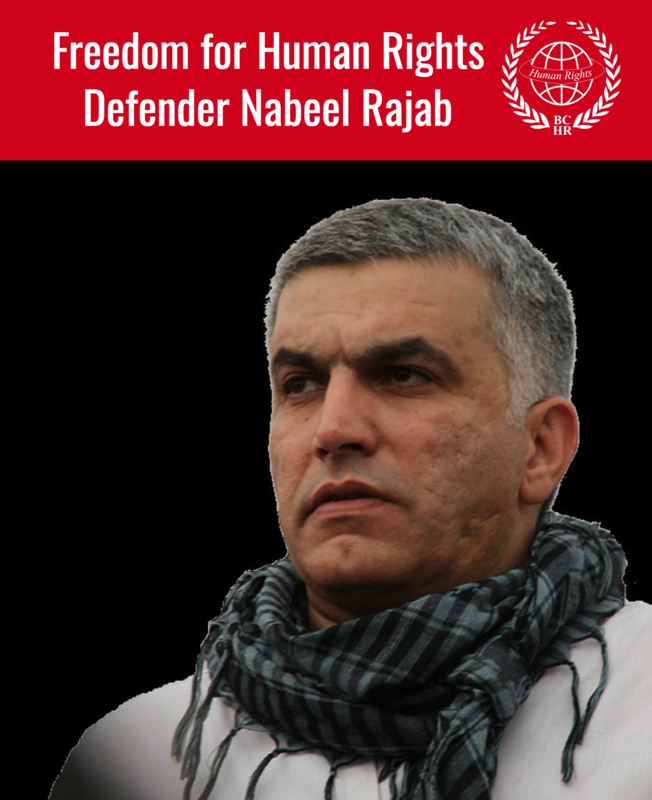 The President of the Bahrain Centre for Human Rights, Nabeel Rajab, was awarded in 2011 the Ion Ratiu Democracy Award by the Washington based Woodrow Wilson International Center for Scholars. Thedirector, president and CEO of the center, Jane Harman stated that: In sucha tumultuous year, Nabeel Rajab’s efforts to peacefully advance democratic freedoms for Bahraini citizens, even in the face of considerable personal peril, are truly exemplary. He is an exceptional choice to receive the Ion Ratiu Award and I extend my sincerest congratulations”. For more information, please see our Frequently Asked Questions page or contact us. Maytham Al Salman is the founding member and current coordinator of the Middle East and North Africa Civil Society Coalition to Counter Incitement to Hatred; a multi-stakeholder platform, established in April 2015, that is dedicated to ending incitement to violence, hostility, and discrimination. The Coalition monitors, analyses and reports on incitement speech across the region, and promotes interventions to counter such incitement. Annie Game is the Executive Director of IFEX, a global network of over 119 media and civil liberties organizations that defends and promotes freedom of expression as a fundamental human right. IFEX exposes threats to online free expression, focuses on bringing to justice those who harm or kill journalists, and advocates for the rights of media workers, women and LGTB journalists, citizen journalists, and activists. For over 10 years Annie has supported IFEX’s efforts to free imprisoned journalists, defend online activists targeted by repressive regimes, provide tools for organizing successful campaigns advocating for free expression, and expose legislation aimed at quelling free speech. Annie has been activist throughout her career in the NGO sector, focusing on free expression, development, and human rights with groups such as IFEX, War Child, Jeunesse Canada Monde, and Save the Children - Canada, as well as in cooperation with many international NGO's in Asia, Africa, Latin America, Europe and North America. Antoine Madelin is the Director for international advocacy of the International Federation for Human Rights (FIDH), a human rights NGO representing 182 human rights organisations in 114 countries. A graduate in Human Rights and in European Political Studies, Antoine Madelin first worked for the French Prime Minister's office and with the Secretary of State for European Affairs. He then joined the International Federation for Human Rights, where he has been working for the past 16 years, acting successively as Permanent Representative to the United Nations in Geneva, and subsequently as Permanent representative to the European Union in Brussels. He now coordinates FIDH's advocacy work to the United Nations in Geneva and New York, and to the European Union institutions, and towards other leverages of change. He also works to define the orientations and positions of his organization on the contemporary challenges of human rights violations, as well as the development and financing of his organization. Ariel Plotkin is a Human Rights Researcher and Activist, formerly the Bahrain Researcher at Amnesty International. She has been working in roles related to human rights in the Middle East for 6 years, focusing on Bahrain for over 4 of them. During her time at Amnesty International, Ariel authored two hard-hitting reports on Bahrain's dire human rights situation, bringing much needed media attention to the country, and advocated tirelessly for the release of human rights defenders, including Nabeel Rajab, and other prisoners of conscience as well as for accountability for past abuses. Mandeep Tiwana is the chief programmes officer at CIVICUS, the global civil society alliance. He specialises in legislation relating to the core civil society freedoms of expression, association and peaceful assembly. Since joining CIVICUS in 2008, Mandeep has been engaged in advocacy to protect and expand civil society space globally. He has written extensively on this subject. Previously, Mandeep advised the New Delhi Delegation of the International Committee of the Red Cross. He has also worked with the Commonwealth Human Rights Initiative, and has published a compilation of landmark Indian Supreme Court decisions and National Human Rights Commission guidelines on human rights and policing and has co-authored modules on human rights for the Commonwealth Parliamentary Association and a citizen's handbook explaining the mandate and practical functioning of human rights commissions in India. Mandeep has also drafted two annual reports for the Punjab State Human Rights Commission and has worked on projects related to good governance and women's empowerment in India. He holds an LL.M in Law in Development from Warwick University, U.K. and completed his LL.B and B.A degrees at Panjab University, India.